Spoiler Alert! 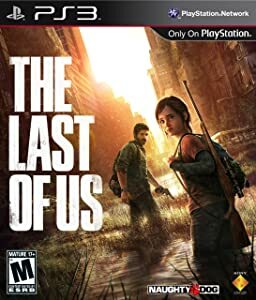 The Last of Us is a new, bestselling video game for the PS3 that has players talking about its secrets, reveals, and fascinating storytelling. In this interview, we do not delve too deeply into specifics, but general plot and characters are discussed. The Last of Us is best enjoyed with as little information as possible—fair warning! 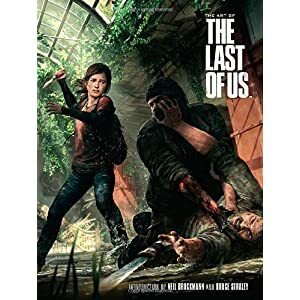 In Part One of our interview, Neil and I discussed character storytelling within video games, and in this final installment we discuss Dark Horse's The Art of The Last of Us and forthcoming graphic novel prequel, Neil's influences, and what lies ahead in The Last of Us universe. Omnivoracious.com: We covered storytelling, characters, and backstories, but what about locations? In particular, I loved the Bill’s Town “stage,” but players do not stay there, or in any location, for long. It’s one thing to design a game with a sense of urgency, but these levels all have such depth—more than any one player can explore upon first visit. How do you balance design and storytelling? You try to save the really meaty storytelling for the main path, and the further you explore beyond the main path, the more secondary and tertiary the storytelling. But if you do find those layers, I believe you gain a deeper appreciation for the characters and world that we’ve created. Omniv: Right. There are notes between unseen characters that can be collected and read, along with other subplot threads that can only be accessed by exploring. In the bookstore stage, I noticed faux film posters and advertisements. Who created these posters and who wrote the notes that characters can discover? Neil Druckmann: It’s a team effort. The notes were written mostly by our editor, Ryan James, and me. The movies posters were [a result of] background artists coming up with stuff. The only one I did was “Dawn of the Wolf,” and then a bunch of things, like the store names and stuff, is between the art director and the background guys. I’ll just filter it out if it’s a little too satirical or if it takes you out of the experience. Omniv: One sequence that felt very new to gaming was the upside-down moment that occurs early in the game. When it comes to designing and planning these sequences, are they a subversion of familiar gaming mechanics or do they stem from some place wholly different from that? Neil Druckmann: It starts from pacing. We know that if you experience the same thing over and over again, you get diminishing results. We have to constantly switch things up. That could be with story, characters, environment, or it could be with this “set-piece moment” that—no pun intended—flips the script [laughs]. Bill was this paranoid guy who set up all these traps, and it would be up to Ellie to save Joel and then up to Joel to clear a path for Ellie. Again, it’s a situation where they have to rely on each other while switching things up for the player. Set-piece mirrors story while complementing characters. Omniv: The Last of Us also gains depth through character design, and the art book states that “Iteration is an integral part of the Naughty Dog [Studios] process.” Can you elaborate? Neil Druckmann: Yeah, that idea goes beyond characters. Nothing is precious. Nothing is too good that it cannot be thrown away if the project will benefit from it. In this instance, we’ve thrown away whole designs for the Joel character. He was fully modeled but it didn’t seem right within the context of the game, so he had to be redesigned, re-thought, re-modeled and re-integrated into the game. There were situations where whole cinematics were finished and then [we] realized that the whole game would benefit more if that scene were integrated into gameplay. So, we scrapped the whole cinematic and built a level up from scratch. Omniv: Speaking of iterations, there’s a forthcoming graphic novel from Dark Horse Comics that serves as a prequel to The Last of Us game. What should fans expect from this project? Neil Druckmann: In the game, we get to see some of Joel’s backstory—his family, how he enters into the story—but we don’t’ get to see this with Ellie. When Dark Horse presented us with the opportunity of telling another story, it became intriguing to tell the backstory of Ellie and the events that led her to enter into this journey. 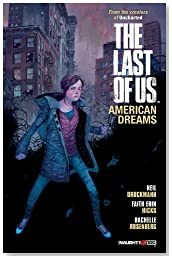 The graphic novel is called The Last of Us: American Dreams, and it takes place one year before the events of the game. We get to see Ellie living within the Quarantine Zone and what it’s like to live within a military school. She doesn’t have the options that we do—she can’t be whatever she wants; she has very few choices left. She meets a character named Riley, and the two bond over their similar aspirations of wanting more than what this Quarantine Zone affords them. Riley takes Ellie on a quest to escape the Quarantine Zone, and that’s the thrust of the story and the 24 hours it takes place in. Omniv: With this graphic novel, you’ve added another notch to your career as writer. Who are your influences, your favorite storytellers? Neil Druckmann: [Laughs] How much time do we have? Omniv: How about your Top 3? Neil Druckmann: Okay. From comics, the one that comes to mind is Brian Michael Bendis. I really enjoy his stuff. His run on Alias was one of my favorites, and I kind of got into writing because of him. He published a script book for some of the stuff he did for Powers, and he talked about reading Story by Robert McKee and how that set the rules for him. So, I started reading that and it influenced the type of stories I wanted to tell. From books, obviously Cormac McCarthy is a big one—The Road and No Country for Old Men were big influences on The Last of Us. Another one is David Benioff, who did City of Thieves, which was maybe the biggest influence on the tone of the game. It’s historical fiction about these two survivors living in Leningrad during Worth War Two. They are charged with a crime, but a general needs to find a dozen eggs for his daughter’s wedding cake, and he says that the two thieves will be freed if they can find eggs in this impoverished city in 24 hours. If not, they will be executed. It’s this beautiful, human story about two survivors, and they run into cannibals, Nazis—it’s funny and dark all at the same time. I love it; it’s one of my favorite books ever. From film, obviously the Coen Brothers are huge. They break the traditional story structure, and their characters always have so much depth. It’s always so inspirational to watch. Omniv: But fans seem to be split on what they want once they finish The Last of Us. Some want a sequel, while some want it to remain self-contained. Ideally, what would you like to see? Neil Druckmann: Well, you make a game like this and you just don’t know. You don’t know if people will like it or if it will be successful. So, you never know if you will have a chance at a sequel, so we never left any threads dangling. Here’s the story we wanted to tell, and we told that story. Now that it is successful and people do love it we have a choice to make. Do we take the chance and make the Matrix 2 of video games? Neil Druckmann: Or, are we able to find a story in this world that reflects back on the first story and make The Godfather 2 of video games? We don’t know yet. The only thing we have committed to is single-player DLC [downloadable content] that expands a little bit on the story and world. It’s a short story, and if you play it you gain insight into the larger journey. After that, there are some ideas floating around. Some of them are intriguing, but there’s nothing really solid yet. We’ve always said that if there’s something that really grabs us for the next 3-4 years, we’ll follow it. If not, we’ll go off and make some other world. Many thanks to Neil, Naughty Dog Studios, and Dark Horse Comics for this insight. Now, back to my sleepless nights!